Before I get into it, this is by no means a proclamation that the Mets are back in anyway. But Sunday night’s win against the Yankees to break a gut-wrenching losing streak felt good. 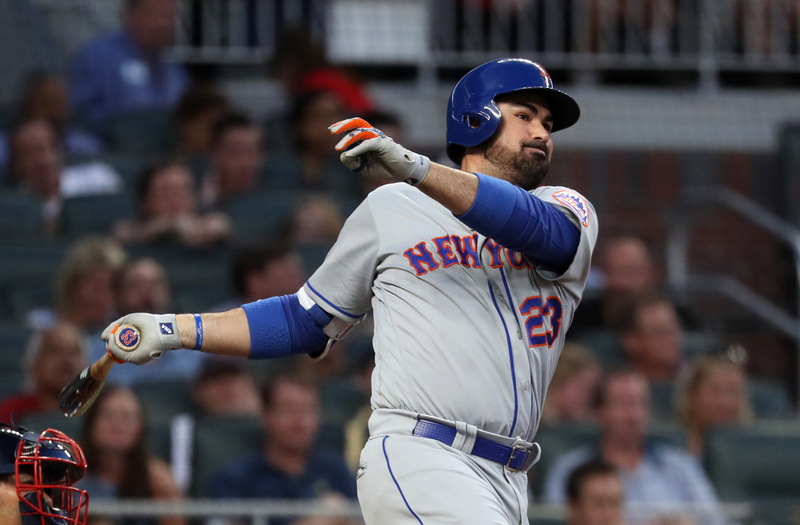 Then, the subsequent release of Adrian Gonzalez and DFA of Jose Lobaton flashed the first signs of sensibility from New York’s front office in a long, long time. The corresponding moves of bringing up first baseman Dominic Smith and the switch-hitting utility man Ty Kelly, however, are good, but not great. So without further ado, let me explain. We here at BP Mets have certainly detailed the Mets’ handling of former top prospect and highly touted prospect Dominic Smith. Personally, I think Smith did have a chance to be near what he was once projected – but the delayed call-up, the obvious disinterest by the organization and the absolutely head-scratching signing of Gonzalez eventually hindered him. But now Sandy Alderson and co. find Smith as the everyday strong-side platoon first baseman yet again with his promotion on Sunday. Last year was a disaster for the 22-year old and this might be his last chance to prove his worth to the ballclub. He has slashed a just-decent .262/.343/.370 while hitting two home runs in 219 at-bats, and while I do expect him to outperform the now free agent Gonzalez, it likely won’t be enough to quiet down ‘the why isn’t Peter Alonso on the major league roster?’ camp – one which I am a part of. Even straight from Double-A, Alonso makes more sense. I mean, why not? He is raking .310/.441/.567 with 15 home runs in 210 at-bats and yes, it’s Double-A, but remember what Michael Conforto brought to the club in 2015 straight from Binghamton? Plus, I can’t see how much more improving a 23-year old college-playing first baseman needs with his offensive skills, even if his glove leaves some to be desired. But for now, it’s only fair Smith gets another shot. On the other side of the diamond returns the aforementioned INF/OF Ty Kelly. It may sound outlandish to suggest bringing two Double-A guys up in one article/transaction, but this could have been Jeff McNeil. Another destroyer of Eastern League pitching, the 26-year old has seen time in the PCL with Vegas and may actually provide more value than Kelly. In all honesty though, I have no problem with Kelly being here. He provides a switch-hitting option (and owns a great first name) for an adjusting Mickey Callaway that should hopefully ease Mets brass into making the necessary move of releasing Jose Reyes. There have been numerous reports of the Mets feeling bad releasing Reyes and trying to force him to retire to save his legacy, but at this point, the only thing that would make people stop talking about his absolutely abysmal year is to release him like they did to Gonzalez. No hard feelings, just an obvious baseball move. Sunday was a rare bright day post-April for the 2018 New York Mets, but it could have been brighter.